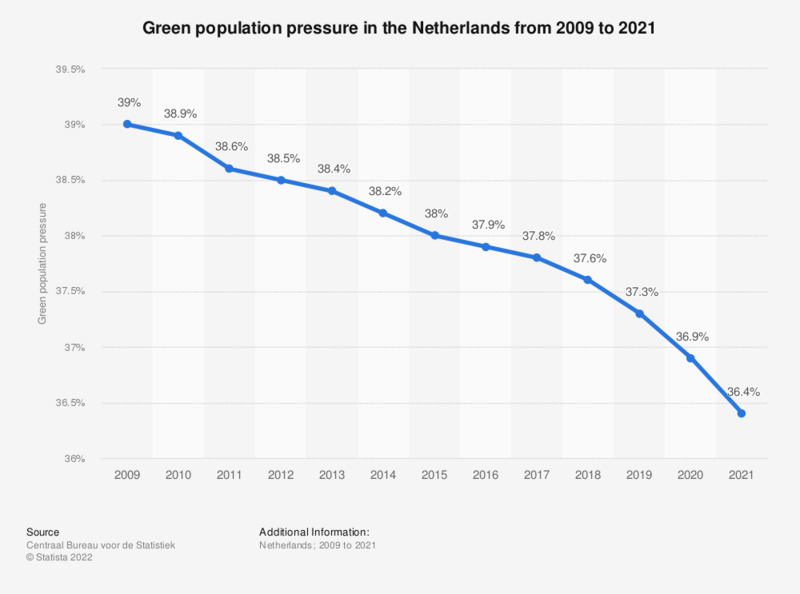 This statistic shows the green population pressure in the Netherlands from 2008 to 2018. It reveals that between 2008 and 2018, the green population pressure continuously decreased from 39.2 percent in 2008 to 37.6 percent in 2018. Data valid as of January 1 of each year indicated. The green population pressure is the ratio of the non-working population (0-20 years) to the working population (20-65 years) and is calculated by dividing the total of the non-working young population by the working population x 100. The higher the green population pressure, the more non-working people under the age of 20 the working population has to support.